Breaking 100 may seem a distant dream no matter how close you get to the landmark barrier. Before we give you the 5 tips on how to help you do this, its important to look at my opening statement and how this is a big problem! Landmark! Barrier! Plus many more words are described on how they make shooting a score less than 100 infinitely harder. So your mind set is crucial when it comes to improving your scores. How many of you add up your scores as you are playing? How many know exactly what your score is at any point of the game? How many of you have ever been in the situation with 3 holes left you know exactly what score you need to break 100? Hopefully you understand now that this is a bad idea. Imagine that you where lucky enough to have a caddy and he said to you all you need on the last hole is a bogey to break 100! What would you tell him? This just puts undue pressure on you. By focusing on the performance or outcome you will not be able to focus on 1 shot at a time. 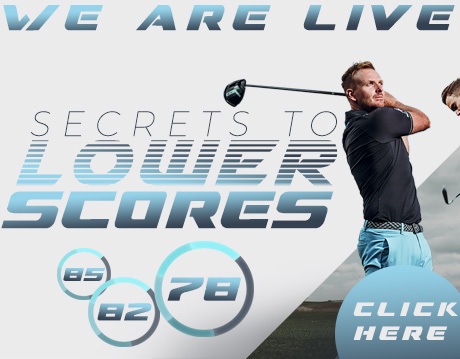 So next time you play tell your playing partners not to tell you your score until you have finished and make sure you only put the hole totals down and work out your score at the end. 95?? As long as you are not slicing every shot well out of control then a fade/big fade will be repeatable and will allow you to hit more fairways than trying to change your technique whilst playing. 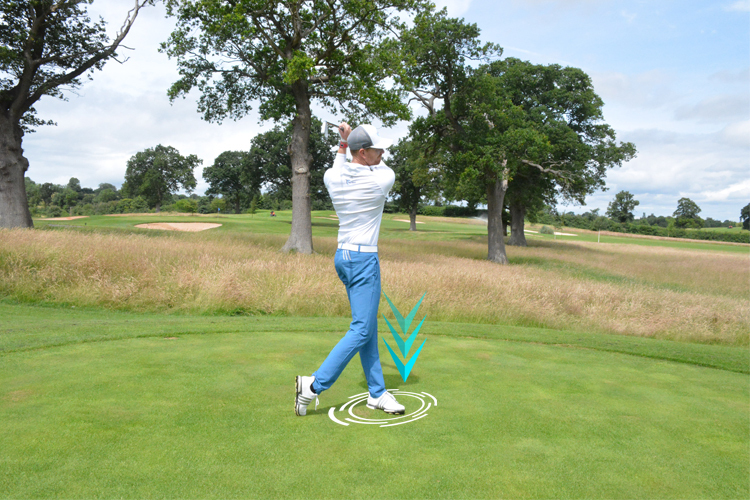 Leave the technique changes to the practice area. Striking your irons well is a massive part of creating consistency on the golf course. 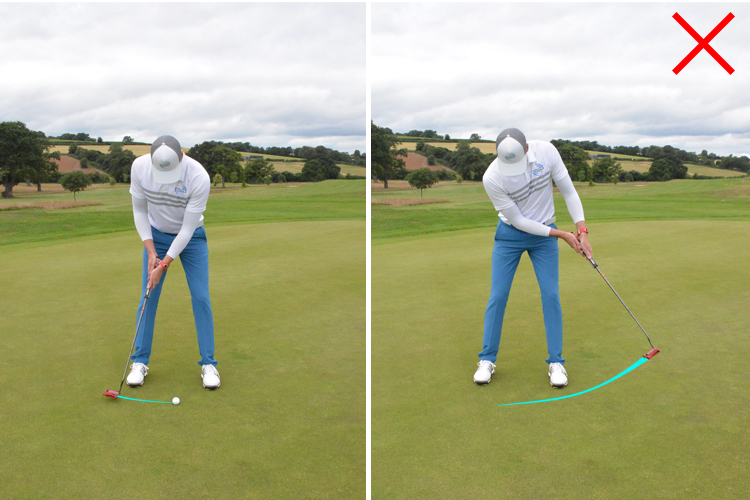 Just think 1 cm out on your strike can cause you to miss the green putting your short game under pressure. 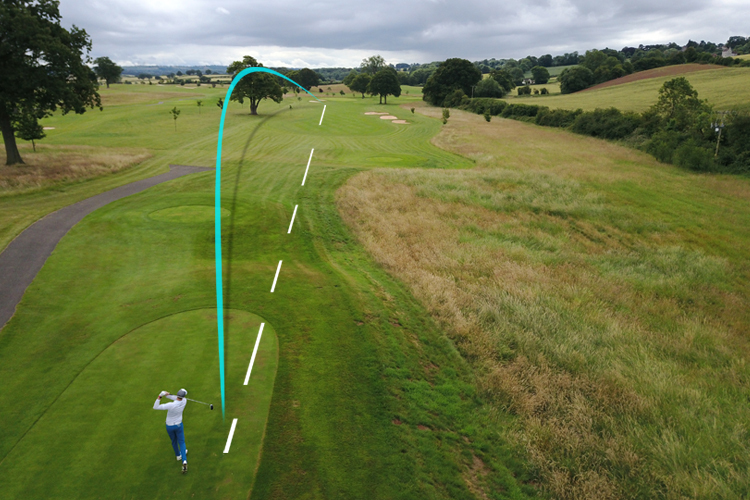 By sticking your finish and focusing on a well balanced finish position you will increase your chances of striking the ball well and then create a lot more consistency with your accuracy and your distance control. When playing chip shots around the green we recommend playing the ball as low to the ground as possible. 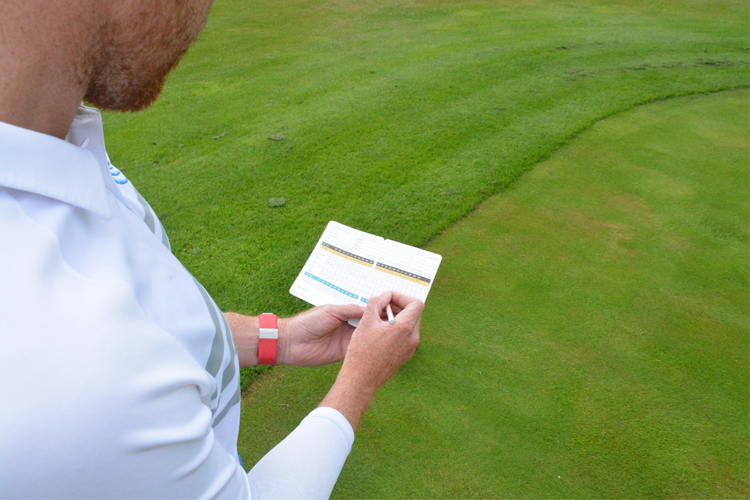 Putting from off the green is absolutely fine and often the best option. A bad putt will end up closer than a bad chip. The problem with playing a chip with a lofted club is that if you get the contact wrong the result can be a long way from the flag. If you hit the ground before the ball with a sand wedge then the club will slow down very quickly and leave the ball well short, if you thin the shot the trajectory will be a lot lower and hence too powerful. Think if you where to thin a 7 iron! Well if you thin it the ball will go low and run a lot, if you hit a good 7 iron then it will go low and run a lot, so with a 7 iron not only is it harder to hit a fat shot but if you do thin it the shot will behave very similar to a good shot. The trick is to land the ball just on the green as near to you as possible. 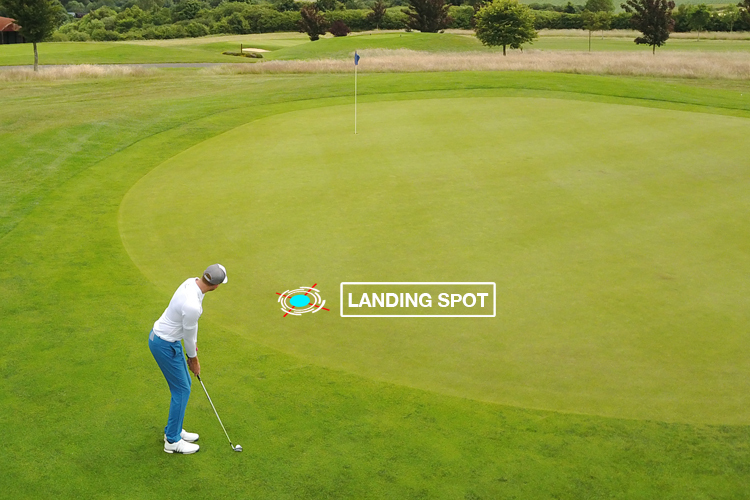 By landing it on the green you will get a consistent bounce. Next time on the course pick a landing spot just on the green and go for a lower lofted club. Before you read on ask yourself this question! How many 3 putts do you have a round? Your answer may surprise you. If it’s over 36 just imagine if you did have 36 putts! That could in its self be good enough to break 100. If we can get you hitting your first putt closer to the hole you will have less 3 putts. 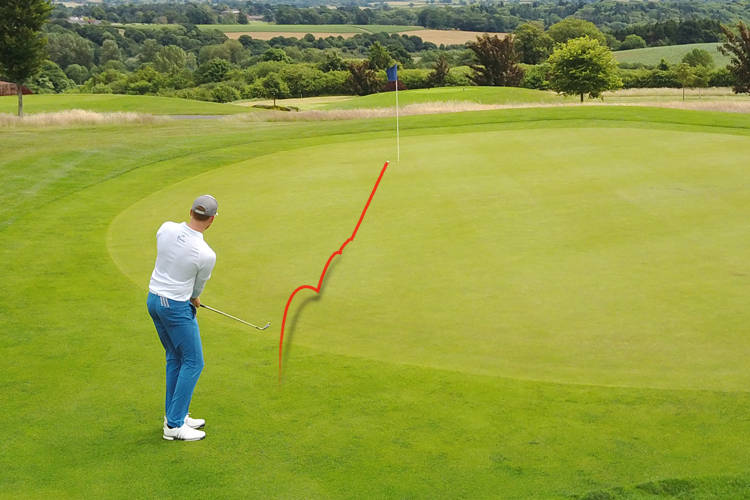 The biggest problem we see is that golfers control the distance they hit putts by the effort level of the stroke, often the length of back swing is the same for all putts, its just the effort level of the through swing. By letting the length of your backstroke control the power level you will start to be able to achieve a pendulum stroke. The best way to check this is to video your putting stork from the front view. 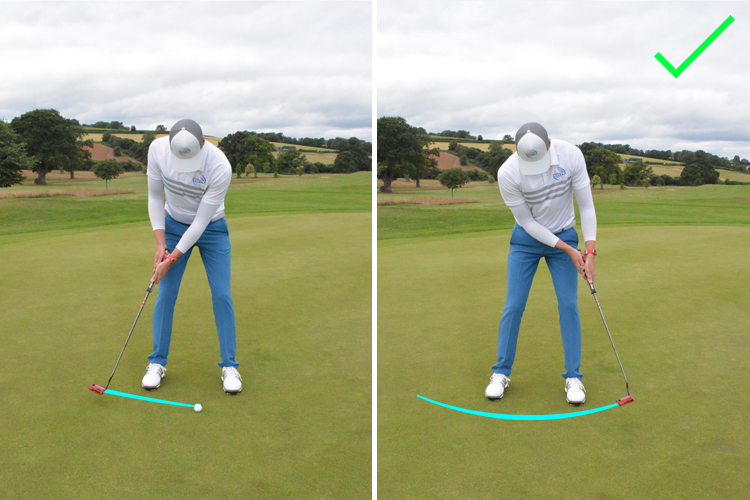 By working at a more pendulum style stroke you will start to rely on your natural instinct to judge distances on your putts. 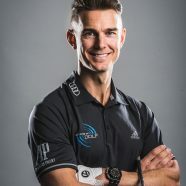 We have been using these simple tips to help golfers break the 100 mark for the last 20 years so if you think these would benefit you then start working at them. 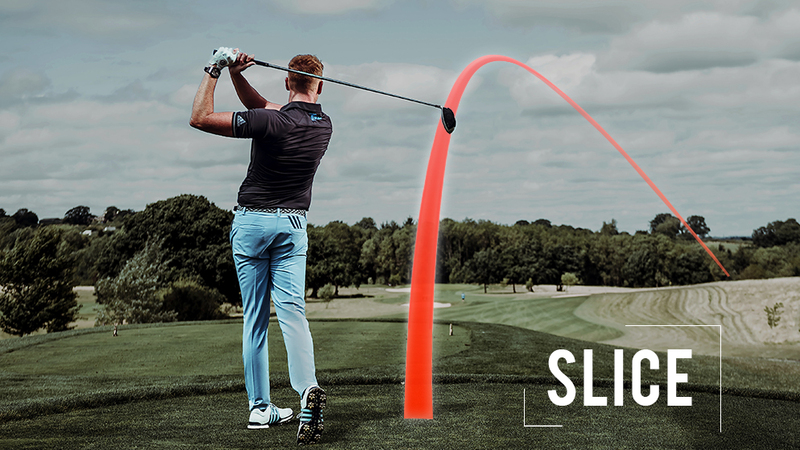 Do you struggle with the dreaded SLICE? Our members fix their’s in a matter of a few videos. Come learn what really causes a Slice and how to cure it forever! Need help with your Pitching? We’ve got you covered! Come check out all the videos. Struggling with over the top, reverse spine, fat/thin shots or more? 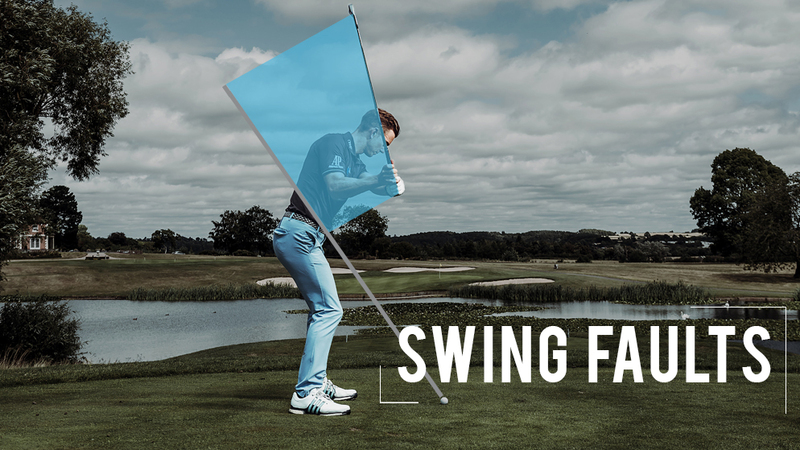 Come check out all the videos we have just on Swing Faults and how to correct them. how to hit a chip shot out of heavy rough? Hi Mark. If you go in to our short game video vaults you will find a video in there to help you. When should you have your clubs cut to fit you? Big fan of the video series. 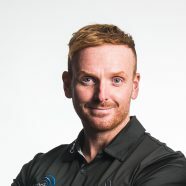 High handicapper who has a hard time taking his range swing out onto the course. Any tips for dealing with “course anxiety”? Hi David, thank you so much for your kind words. Ok there are a few things you can do. 1. Slow things down! I don’t mean slow play but if you can not be in a rush when playing this helps a lot and also by slowing things down I also mean the swing, often the transition the bit between the back and down swing gets to quick and jerky, by having a smoother transition this can really help. 2. Control your expectations and dealing with bad shots. Bad shots happen so don’t get upset or annoyed when they do, always say to yourself whats my job! Your job is to focus on the next shot. 3. Finally have a plan for each shot, make sure you know exactly what you want to do and happen on each shot, by having a plan your only focusing on what you want on happen and not what could go wrong. Hi David. the more you play with pressure, the better you deal with it. One great way is also have a good routine that you can rely on under pressure. Make sure you also have some awareness of how you move. “Take charge” of your body and move with confidence. This will really help. 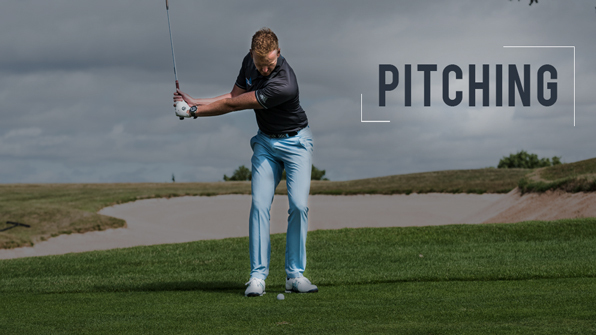 Try to find ranges that allow you to hit off the grass as well. Hitting off the matt sometimes gives you a lot of bounce and will give you better contact than straight from grass. 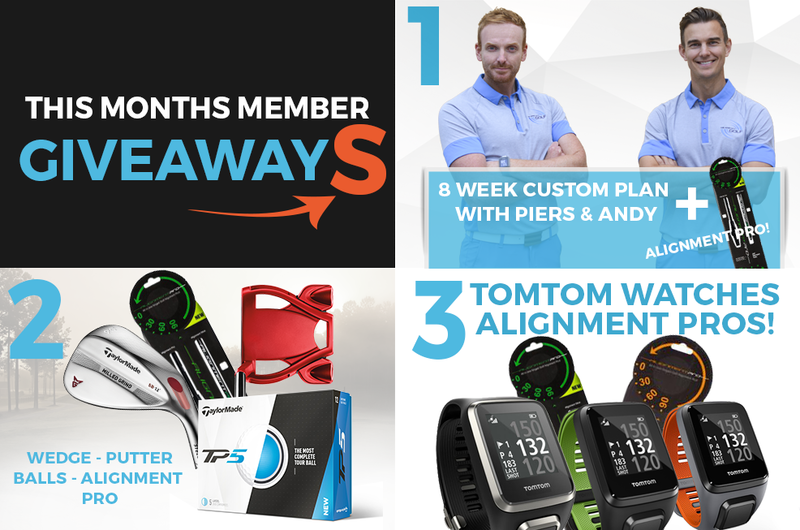 November Giveaway: It’s Raining Prizes Up In HERE!